The Dunes, the Sands and the Sahara. Stu Ungar, Chip Reese, Doyle “Dolly” Brunson and Johnny Moss. Those famous former casinos and poker giants were at the forefront of the early Las Vegas poker tournaments, and have paved the way for today’s game. Far from the early days when Benny Binion invited who he considered to be the best poker players in the world to join him at his world-famous Horseshoe Casino for a “winner take all” poker tournament, today’s World Series of Poker tournament draws thousands of entrants. Johnny Moss won the very first two WSOP titles in 1970 and 1971, besting a field of just 8 and 7 players respectively. But these days, with 74 major casinos offering poker tournaments Las Vegas provides day and night access to every game, at every stakes level. Considering that the entire city of Las Vegas encompasses only 25 square miles, and the famous Las Vegas Strip is only 4.2 miles long, the fact that the city offers over 100,000 hotel rooms is more than impressive. And each of those rooms is only a 15 or 20 minute walk or ride to some exciting Las Vegas style poker tournament action. From the Stratosphere North to Mandalay Bay South, the Vegas Strip offers 28 premium casinos with poker tournament action available night and day. Just East of the Strip you have Hooters and the Hard Rock Hotel offering Vegas poker tournaments as well as stimulating sights and sounds. And to the West of the Strip, the Palms and Rio both offer casino-specific, nationally and internationally sponsored poker tournament action. And downtown on Fremont Street where Vegas gambling began, Binion’s and the Golden Nugget offer Stud, Texas Hold ‘Em and Omaha poker tournaments at all levels. And land based tournaments for games like Razz, HORSE and all the low-ball variants can be found night and day, all up and down the Las Vegas Strip, at the largest casinos and the smallest vegas poker rooms alike. But the granddaddy of all the poker tournaments in Vegas is the WSOP, and out of the dozens of events offered is the Main Event Hold ‘Em championship. Taking down that single title means a multimillion dollar payday and instant stardom. Most of the casinos and poker rooms in Las Vegas offer World Series of Poker qualifiers, satellites and mini-satellites all year long. It takes only a very small investment, supreme endurance and skill, and a little luck to turn a satellite WSOP win into Main Event immortality. A little-known accountant by the name of Chris Moneymaker turned a $39 WSOP satellite into a $2.5 million grand prize, single-handedly vaulting Las Vegas poker tournament play to the incredible level of global popularity it enjoys today. Brick and mortar poker tournaments in Las Vegas are offered year-round. Satellites, qualifiers and low entry poker tournament abound, and there are always those $1,000 and $10,000 buy-in tournaments which will not only make you a bundle of money if you win, but will also put you on television, and possibly kickstart your professional career. From Johnny Moss to Johnny Chan, Las Vegas poker tournaments have included Hall of Fame players past to present. And with the incredible popularity of the world’s favorite card game, Vegas poker tournament access for any and every player, and possibly fame and fortune, is now just a trip to Sin City away. 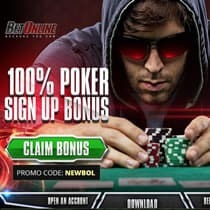 It’s also worth noting that many las vegas online poker sites offer big weekly tournaments as well as satellite tournaments that can earn you entries into the big tourneys such as the WSOP.